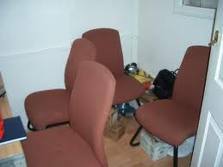 Are you looking for office clearance Leytonstone? Apart from the legal requirements of working in a safe environment, it’s not very pleasant to be ploughing through boxes and rubbish on the way back to your seat each day! If this rings true of your current situation, it may be time to call in the experts to handle your office clearance in Leytonstone E11. At ‘Away With It’ we are fully trained and insured to deal with your office clearance in Leytonstone E11 and will do it quickly and efficiently. 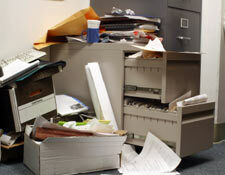 Flexible – we are available 7 days a week to take care of your office clearance in Leytonstone E11 needs. The size of the job will vary but some of the items we deal with regularly, includes cables, filing cabinets, furniture and unwanted paperwork. We have simplified the process, so all you need to do is get in touch for a no obligation estimate, and if you’re happy we’ll come and do the job for you! To find out more about our Leytonstone E11 Office Clearance services, you can call us on 020 8504 7390 or 07957 123 019, or drop us an email today.